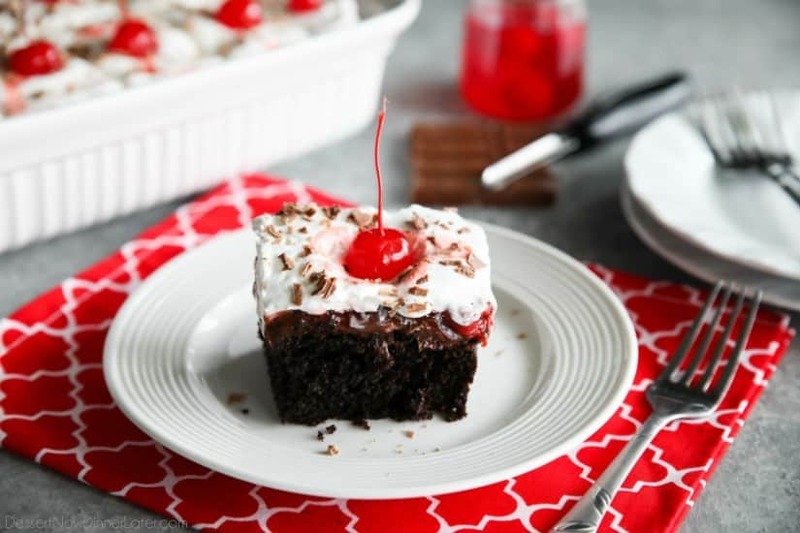 Black Forest Poke Cake - Dessert Now, Dinner Later! 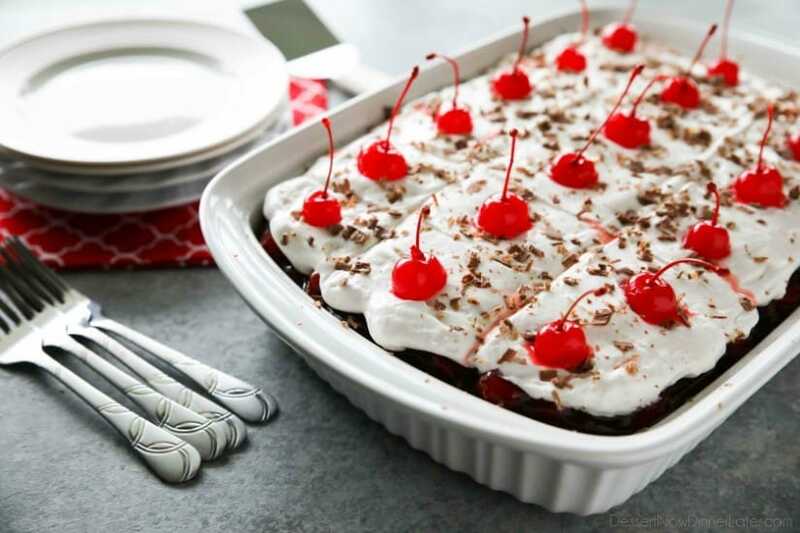 Black Forest Poke Cake is a classic recipe made easy. Plus it serves a crowd! 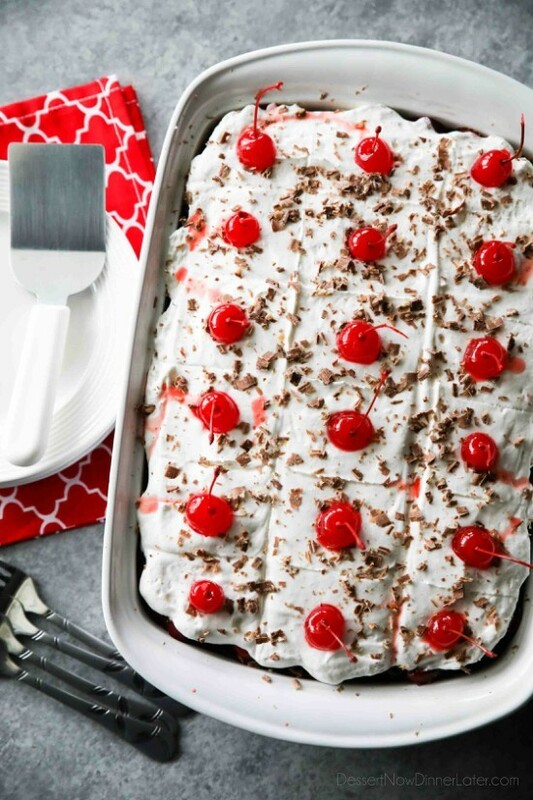 Everyone loves the delicious chocolate-cherry combo in this loaded dessert. It’s been a while since I’ve made a poke cake. I’ve kind of forgotten just how truly versatile this dessert can be until I received a copy of my friend Jamie’s new cookbook: The Poke Cake Cookbook. 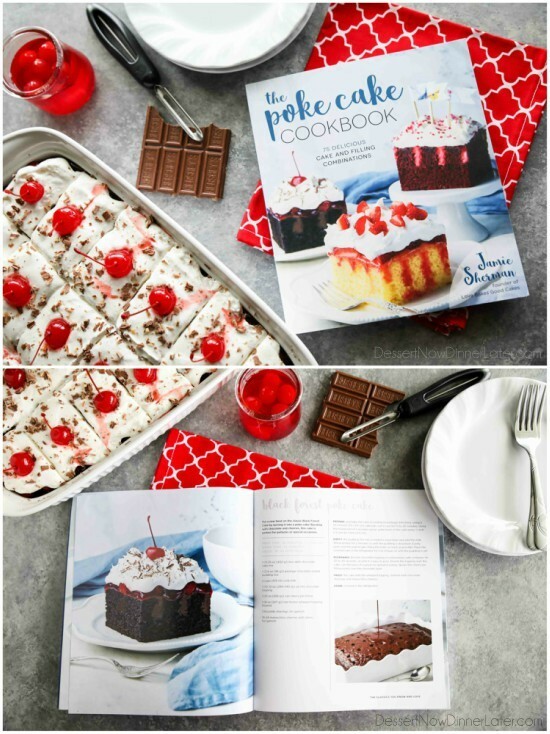 Jamie, the blogger behind Love Bakes Good Cakes, has 75 BEAUTIFUL poke cake recipes to try that all look picture perfect. It was hard to decide which one to try first, so I went with a classic that I haven’t had in a long time, black forest poke cake. Dark chocolate cake, chocolate pudding, hot fudge, cherry pie filling, whipped topping, chocolate shavings, and a maraschino cherry on top! Mmm-mmm! So many layers of goodness! I think it’s safe to say this black forest poke cake is loaded! I’ve actually never made a poke cake with pudding. I usually use runnier liquids like sweetened condensed milk, jello, or cream of coconut, so it was a new experience for me. I like the flavor and texture the pudding adds. Jamie’s cookbook is broken into 5 categories of poke cakes so there’s something for everyone. The Classics You Know and Love – All of the classics made easy to serve your family and friends. 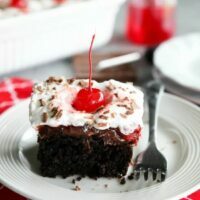 Easy Chocolate Poke Cakes To Die For – Who doesn’t love chocolate, chocolate, and more chocolate? 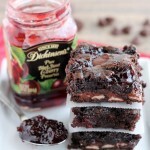 Simple Fruit Poke Cakes To Tease Your Taste Buds – For those who love to get their fruit intake in dessert form. Easy As A-B-C Kid-Friendly Poke Cakes – PB&J, cookies & cream, and funfetti are just a few of the favorite flavors in this section that take you right back to childhood. If You Can Dream It, You Can Achieve It – These cakes are full of fun and unique flavor combos, with fun and unique names to match. I would recommend The Poke Cake Cookbook to anyone who likes easy desserts that everyone will love. It’s the perfect thing to have on hand to spruce up those boxes of cake mix in your pantry to serve to family and friends. Prepare and bake the cake according to package directions, using at 13x9-inch cake pan. Let it cool for 15 to 20 minutes. Using the round end of a wooden spoon, poke holes in the cake every 1/2-inch to 1-inch. Empty the pudding mix into a medium-sized bowl and add the milk. Whisk briskly for 2 minutes or until the pudding is dissolved. Evenly pour over the poked cake, filling the holes as much as possible. Place the covered cake in the refrigerator for 2 to 4 hours or until the pudding is set. 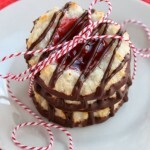 Microwave the hot fudge topping in a microwave-safe container for 20-30 seconds, or until it is easy to pour. Drizzle the topping over the cake. Use the back of a spoon to spread it evenly. 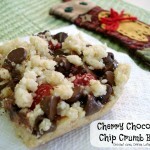 Spoon the cherry pie filling evenly over the chocolate layer. Frost the cake with the whipped topping. 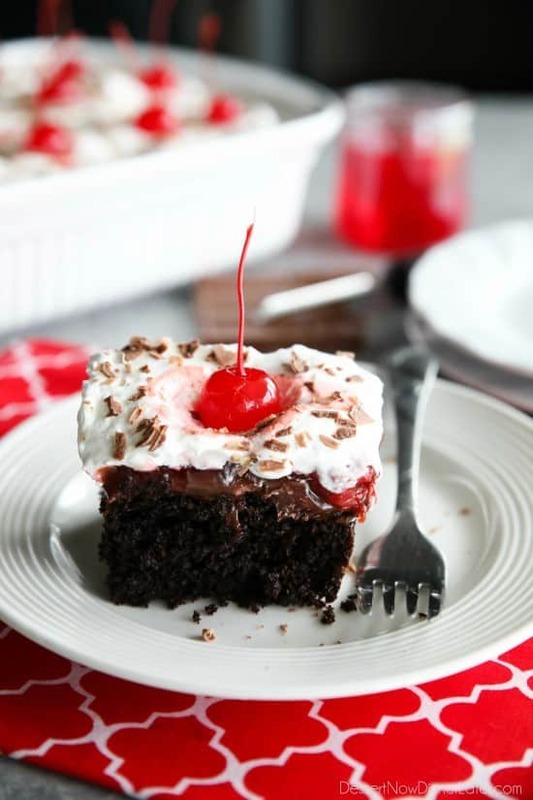 Garnish with chocolate shavings and maraschino cherries. 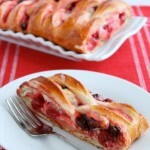 (Tip: Blot the cherries dry on a paper towel before putting on cake to avoid the liquid running all over.) Store covered in the refrigerator. Mine got all watery on top…suggestions? Was it the whipped topping that got watery? Mine was a little soft too. You could try and whip some real cream with some powdered sugar (1/4 cup powdered sugar to 1 cup of heavy cream) and spread that over the top to try and help it.